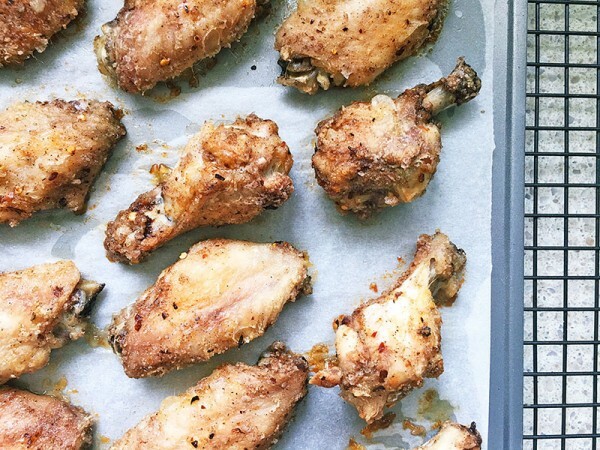 Love chicken wings? Me too. 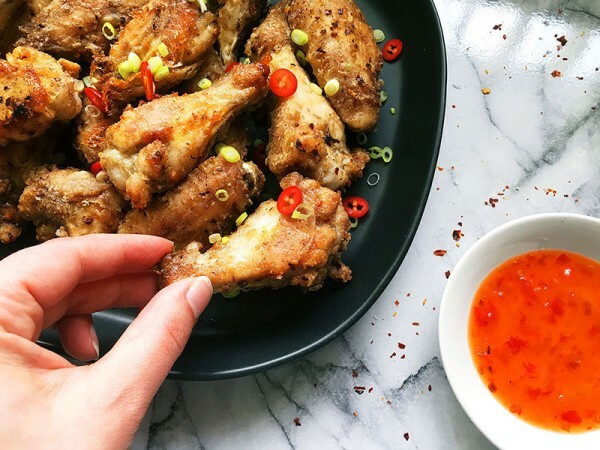 Come on through to discover how to add a whole whack of delicious finger-licking flavour to the humble, cheap as chips chicken wing. Always the bridesmaid, never the bride, it’s the chicken wing’s turn to shine bright. Full of spicy flavour, if you want to err on the side of caution (particularly if your kids aren’t used to spicy food), dial back the chilli and salt volumes for first-timers. Also, if like me your butchering skills aren’t quite up to speed, spend a few dollars at Kmart on an inexpensive but sharp paring knife to slide through bone joints. 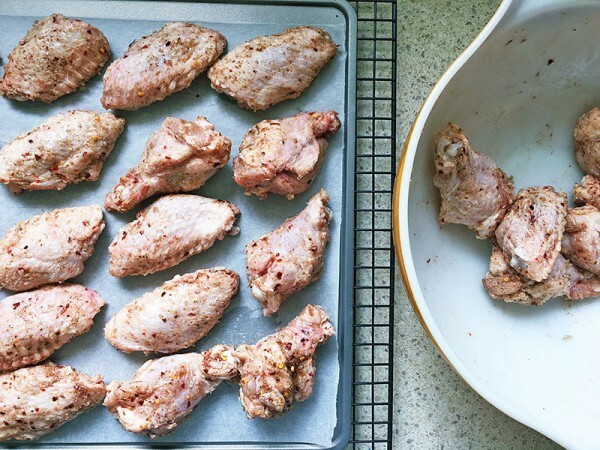 Preheat the oven to 220°c and line two baking trays with greaseproof baking paper. 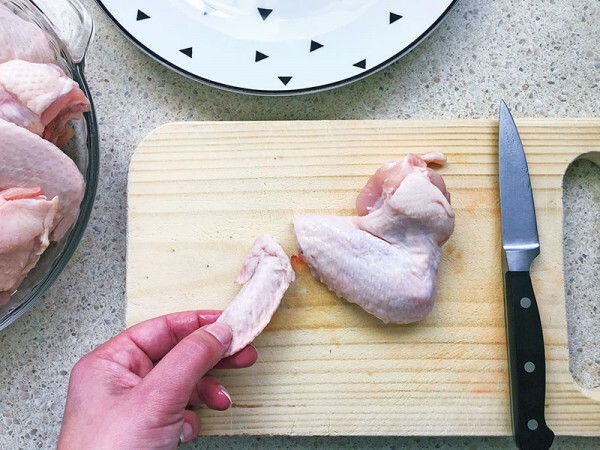 Using kitchen scissors or a sharp knife, trim the wing tips and discard. Cut the wings in half at the joint. 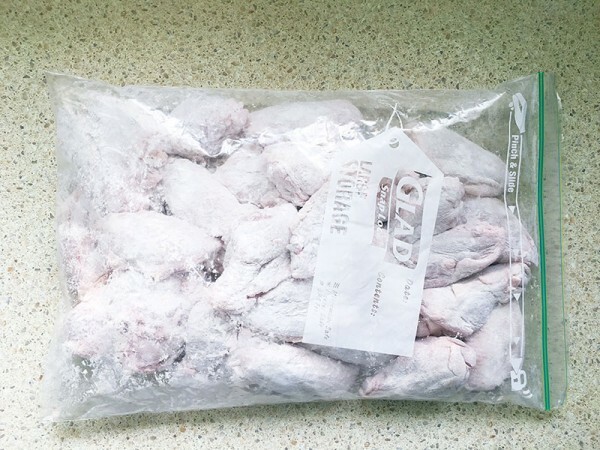 Put the wing pieces in a large zip lock bag and add the cornflour. Give a good shake, ensuring all pieces are coated. Shake to the bottom of the bag the excess cornflour. 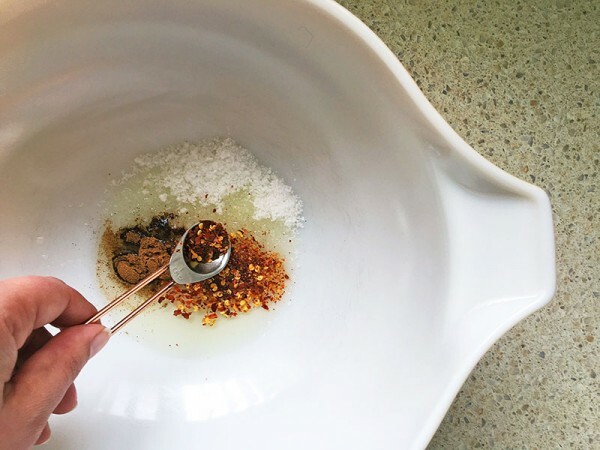 In a large bowl, combine the oil, salt, five spice powder and dried chilli. 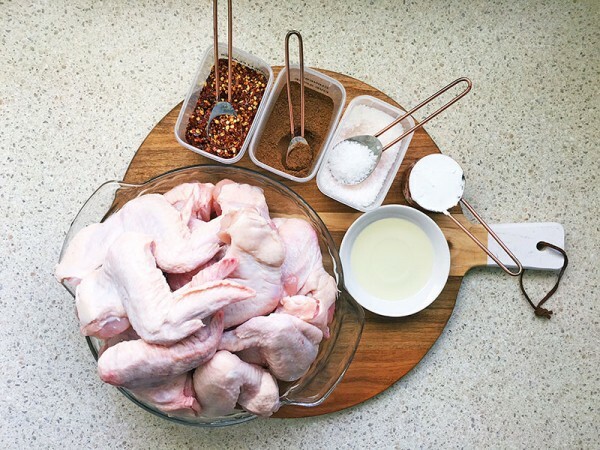 Mix to combine and then add the chicken pieces to the bowl. 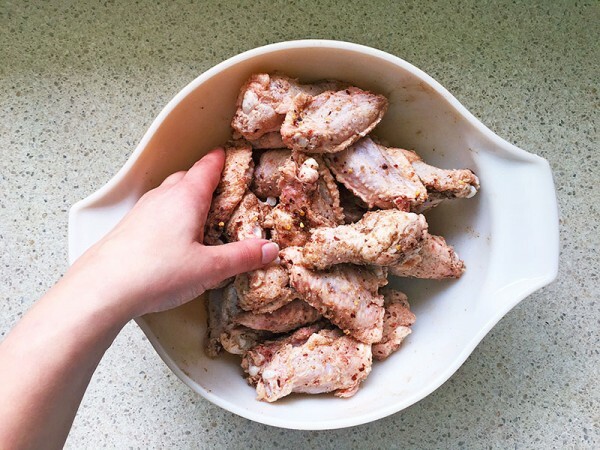 Using clean hands, toss them in the bowl, ensuring they all get a lick of the spicy oil mix. 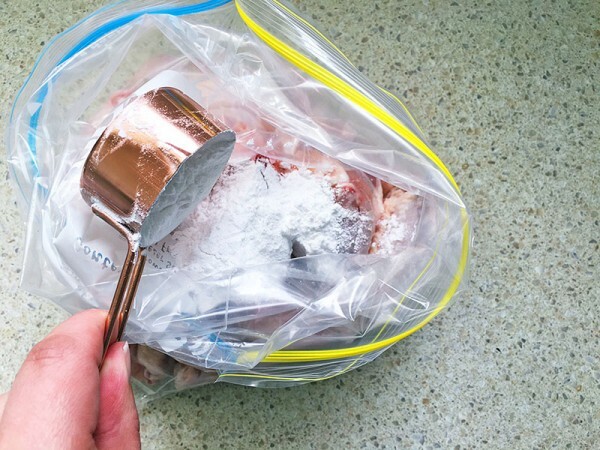 Place the pieces on the prepared baking sheets and roast in the oven for 30 minutes or until crisp. Serve with a dusting of thinly sliced chilli and spring onion and of course, cooling mayonnaise and sweet chilli sauce. This recipe from the Donna Hay files, serves 6 to 8 people, depending on how hungry they are.